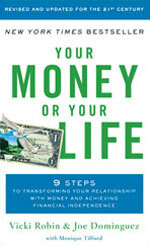 ***IN DESPERATE NEED: Your Money or Your Life by Vicki Robin and Joe Dominguez! My budget is 300.. Im very much willing to negotiate. please send me an email @intelinvest[email protected] if youre willing to sell your copy.. Thanks! !